Give us a call. We have real live people that answer the phone! 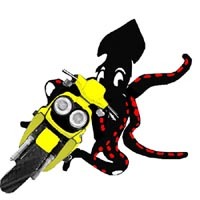 They know what they are doing and are happy to talk to you and and answer your questions! Easy to use - easy to print what you need! 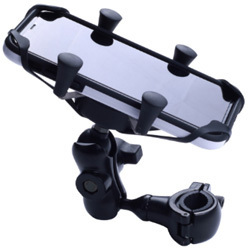 Best and most secure Cell Phone holder yet! 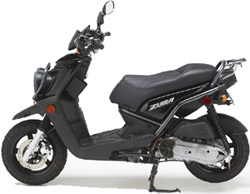 A comfort addition for your Zuma! 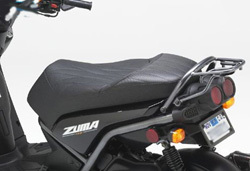 We've taken the same developments that have made Corbin the number one choice for motorcycle seats worldwide and built them into a comfortable two-up seat for your Zuma 125. 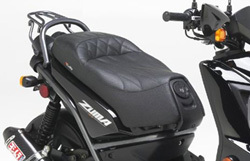 Our ergonomically designed seating platform fits the shape of your body for excellent weight distribution and support. 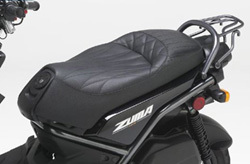 This eliminates hot spots from pressure points created by the stock seat. Additionally, our high-density Comfort Cell® foam material gives firm support that doesn't break down as you ride. 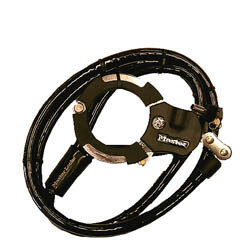 This equates to more time in the saddle with less wear and tear on you! Built up with our exclusive Comfort Cell® foam material for firm support that lasts. Our seats feel firm when you first sit on them, but this is one of the factors that make Corbin saddles work so well. 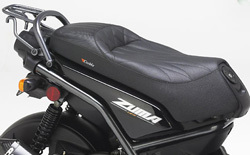 While you stock seat feels soft and comfy when you first sit on it, it quickly crushes down and leaves you sitting on the basepan (ouch). Comfort Cell® is designed to support your body in a sculpted bucket for comfort that lasts all day. Over time, your saddle will break in to take on your shape and provide a personalized fit to your body. 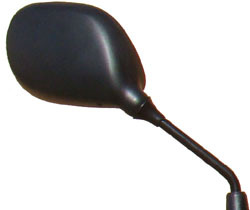 The ergonomic shaping of the saddle naturally makes a nice, flowing line on the bike. Also notice how well the Corbin basepan fits to the shape of the Zuma tail section for a perfect fit. In the Corbin R&D shop we look carefully at the lines of the bike and design the shape of our seat to fit in visually. This gives you an excellent blend of comfort AND style. On the top, your new saddle includes the finest materials available. For a custom touch we've used natural grain black seating with Carbonite tail section and Asphalt sides along with a tasteful stitch patter to tie it all together. The heart of the Corbin saddle! Our exclusive, purpose built foam material, called Comfort Cell, was created to provide a firm, resilient ride that doesn't break down. This means it will support you for long days on the road. Over time, Comfort Cell will break in to provide a personalized fit to your posture and even greater comfort! 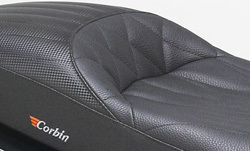 A major part of the design criteria of the Corbin saddle is the Ergonomic shape. This means the saddle's foam shape is designed to emulate the curves of the human body. 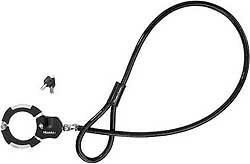 This provides more square inches of body contact and helps to eliminate hot spots. 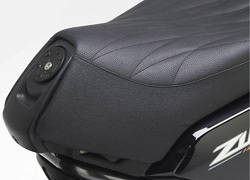 This shaping also neutralizes the seating platform to help curb sliding in the saddle which reduces fatigue. In a nutshell... more comfort for a longer ride! Of course it operates just like stock and keeps the hinge action to provide access to the storage area. 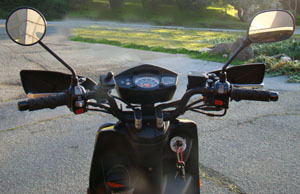 New weather stripping is included and comes already in place on your new seat. Replace those ugly round mirrors! 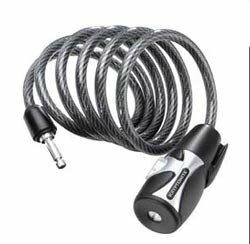 Awesome Easy to use Lock! 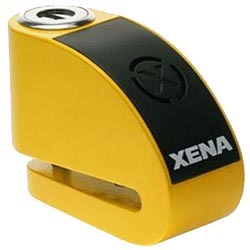 The Xena is a convenient and cost effective theft deterrent that does double duty as a disc lock as well as a piercing 110db alarm: All this in a compact and attractive designed disc lock that fits in the palm of your hand. The body and key barrel are designed to withstand picking, tampering and blunt shock. 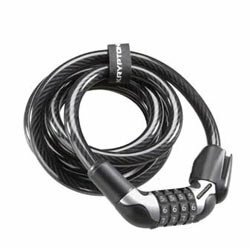 Simply attach the lock to your Zuma's disc and the alarm's sophisticated electronic unit arms itself; any motion or metal strike shock sets off a very clear warning to any would-be thief, and makes any sustained attempt to move your bike very uncomfortable and conspicuous. 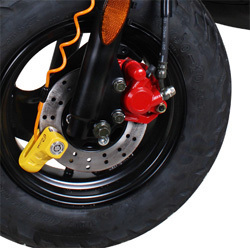 While the main advantage of this disc lock is theft deterrence, it's other key advantage with the built in alarm eliminates the possibility of you riding away before removing the disc lock and wrecking a fork leg or brake caliper or both. 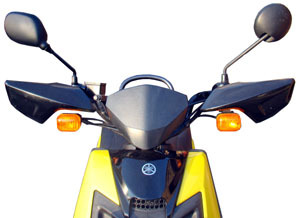 While many other style disc locks typically have a reminder strap or some other device to let you not forget you have your disc lock installed, the on-board 110db alarm makes it pretty obvious, even with a helmet and earplugs, to not start riding away until the lock has been removed! Easily fits around a sign post or telephone pole for in town use. 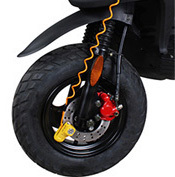 Yet another great addition to the Prima line of locks, the Prima Disc Lock is the simplest and most economical way to deter potential scooter thieves. 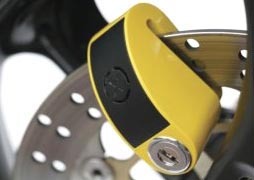 Using a 5.5 mm pin, this lock will mount to the vast majority of scooters in the US. 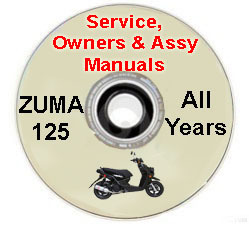 Simply attach the lock to your Zuma's disc! 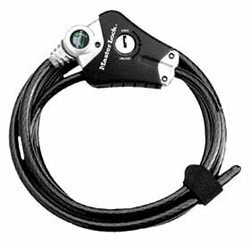 Includes an orange handlebar cable tether to remind you that the lock is in place, 2 keys, and a handy pouch to keep your lock clean and safe when not in use. 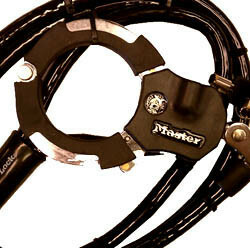 Masterlock Python Adjustable Cable Lock 6' X 3/8"
Page 15 Bling for the 125!